November 2nd is a date with sore quality of one's Soul and holds its power in the ability to connect two extremes within and on the outside. People born on this date are tender yet ambitious and strive high to fulfill their heart's need for peace. They might get torn between their desires and limitations of the outer world, but with healthy energy restored and responsibility of others returned to those it belongs to, there is little they cannot achieve. With three lights in their planetary row, individuals born on the 2nd of November are typically aware of the world around them, of their initiative and ability to connect, and motives and intentions of other people. 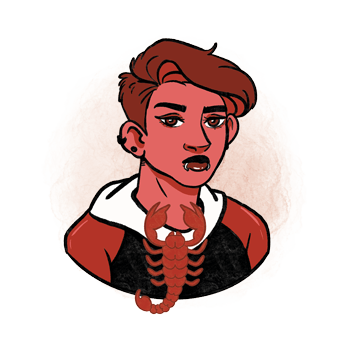 However, the Moon may be a bit cornered here, as this is the time of the Sun in Scorpio, and it might be hard to forgive and forget emotional struggles and disappointments from the past. If they don’t heal their emotional wounds and learn of their own frailty along the way, they might become inflexible, stiff, and turn to battles that don’t have to be as destructive or limiting as they are. They need their ancestors aligned to be emotionally supported and move with the flow of life instead of resisting it to avoid getting bruised. The greatest sense of belonging for people born on this date will usually be found in social circles and with people who fought the same battles. Hard work will lead to deep results, but the warmth felt in the second symbol comes out of a shared meal and warmth of shared causes. They need a strong social life to keep them fed and cozy, while they work on their goals. They will often find themselves in situations where things, people, systems and circumstances need to be fixed so they can fulfill their mission. With Saturn set as the destination of those born on November 2nd, their task in life is to build a solid structure to rely on, hold on to their responsibilities and boundaries, and to find pure faith in their earthly existence. It is of outmost importance that they don’t steer away from their own life by putting too much responsibility in the hands of God, of any system, the Universe, their boss, or any outer factor. They need to be held accountable, aware of their limitations and limitations of others, so they can build what they need in the real world with boundaries clearly set. Nothing is as important in lives of Scorpios born on the 2nd of November as their love life and the state of their heart. It might get lost or closed along the way, and their experiences will usually reflect on karmic debts and debts of their ancestors until they are well within their twenties. With their tendency to close their doors for close contact after they have already shared too much and over emotional limitations of others, they need to find a way to love themselves no matter their choices in relationships, with strange partners, or people who weren’t very supportive of their emotional needs. Their relationships will be stable only with people that share the same ideals, causes and battles, and they need a good friend to be with so they can truly share their deepest emotional core. If their sexuality drives them through unconscious choices, they might get disappointed as without meaningful communication and a foundation set in friendship, their relationships will rarely last. It is their task to connect physical attraction to that of the mind, through purity of emotion. Once they learn how to regenerate and heal their broken heart, they will open up for new romantic adventures and for bonds that will truly inspire them and last in loving contact and understanding. A person born on November 2nd excels in lines of work that require focus and good organizational skills and may be a powerful soldier and fighter for any cause. Still, their place is among other humans to heal and mend what is broken, and in time, they discover that they find more joy in fixing things for others than any grand battle. They will work well with details, in positions that require a lot of ambition and education and know their way around large systems that need to stay functioning and organized no matter what. Able to see the smallest crack in a much larger whole, they do well in restauration and hardware service, as well as in fields of psychology and areas of expertise where hidden meaning is to be discovered. A good stone to give support to the heart chakra of people born on November 2nd is amegreen quartz. It is a combination of three different types of quartz crystal and boosts their ability to connect extremes in other people, in larger groups, and make them functional. It has a soft, calming energy that balances their emotional world and leads them towards understanding and a compassionate approach to those who are bruised the most, especially if it is themselves. 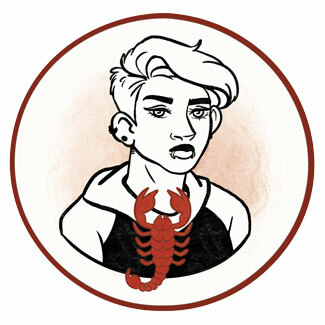 When choosing a birthday gift for a Scorpio born on November 2nd, you must keep their strict yet passionate nature in mind. They wish something to fight for, a higher cause to commit to, and while they might appreciate a trinket for their home, they will enjoy a day in an escape room a lot more. Organize their activities with friends, prepare a meal to discuss what is shared in their closest group, and they will find a lot more joy in such thought than in any material present you might come up with. Focused, brave and ready to follow their passion, they have the initiative and the ability to recognize the smallest malfunctions and mistakes in any system or group they belong to. They will fix, heal what is broken, and mend wounds in others when in touch with their own heart. Too strict with themselves, they close their heart for interaction with others and feel bad about choices that haven’t led them towards the destination they wished for. Unforgiving and stiff in their view of the world, they often need their perspective changed to see the benefit that came from difficult situations. In 1913 Burt Lancaster was born, an Academy Award winning American actor initially recognized for playing the roles of "tough guys". He was a basketball star in High School, got accepted to New York University on an athletic scholarship and dropped out, and performed in a circus in the acrobat duo before becoming an actor. In 1966 David Schwimmer was born, an American actor, director, producer and activist, who gained worldwide recognition for his role of Ross Geller in the sitcom Friends. The warm atmosphere of shared goals with the crew obviously launched his career from the struggling point he was in for years. In 1974 Nelly (Cornell Iral Haynes Jr.) was born, an American rapper, singer, entrepreneur and an occasional actor with numerous chart-topping hits. For over a decade, he has sent two students to college each year, and set up a scholarship named after a college student who was shot and killed. 1947 – The first and only flight of the largest fixed-wing aircraft ever built. 1959 – The first section of the first inter-urban motorway in the UK is officially opened. 1964 – A family coup deposes King Saud of Saudi Arabia (born on January 15th) with his brother taking over his position. 1965 – In front of the river entrance to the Pentagon, a Quaker sets himself on fire to protest the use of Napalm in the Vietnam war. 1966 – 123,000 Cubans are allowed the opportunity to apply for permanent residence in the United States. 1983 – Martin Luther King, Jr. Day is created when the bill is signed by President Ronald Reagan (born on February 6th).